The story of Bethlem Hospital. This book provides an overview of the entire 800 year history of this famous hospital, from its well-intended beginnings to its final disgrace and reform. 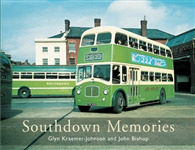 Featuring the history of the London Metrobus, from its initial development through to its final withdrawal in 2006. 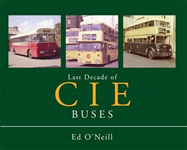 This title offers history of the operator with various enthusiasts of London Transport, as well as any modellers keen to recreate this important type. With an unmistakable design and classic natural metal finish, the English Electric Lightning is a powerful example of the enormous capabilities of post-war British aeronautical design. This book presents the history of the Lightning type for many years. Gives history of the development of railway signalling, from the earliest days through the introduction of the disc and crossbar signal, to semaphores and colour lights and all the modern communications systems of the 1990s. This volume offers overview of Britain's railway signalling history.